“What are some of the things to do in Whistler in the summer?” That was the first question I got asked everytime I mentioned that I was going to Whistler. Every single time. 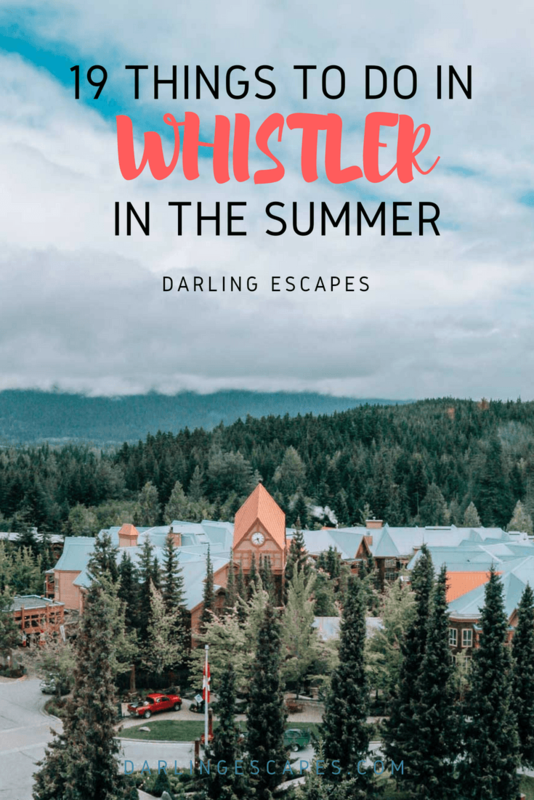 The truth is the finding a list of Whistler summer activities was extremely easy since there are so many things to do. It’s very rare that I get to just travel with a friend for the sake of traveling and exploring a new place. Part of this can be attributed to the long days at work, and part of it is that most friends have limited time off, and have specific places that they want to visit with their precious time off. And while I love hanging out on a beach with a good book as much as the next person, I like going places in the shoulder season to get a better sense of the soul of a place. This is why having friends who have the same mentality as Jen from TravelandStyle.ca does is a such a treat. 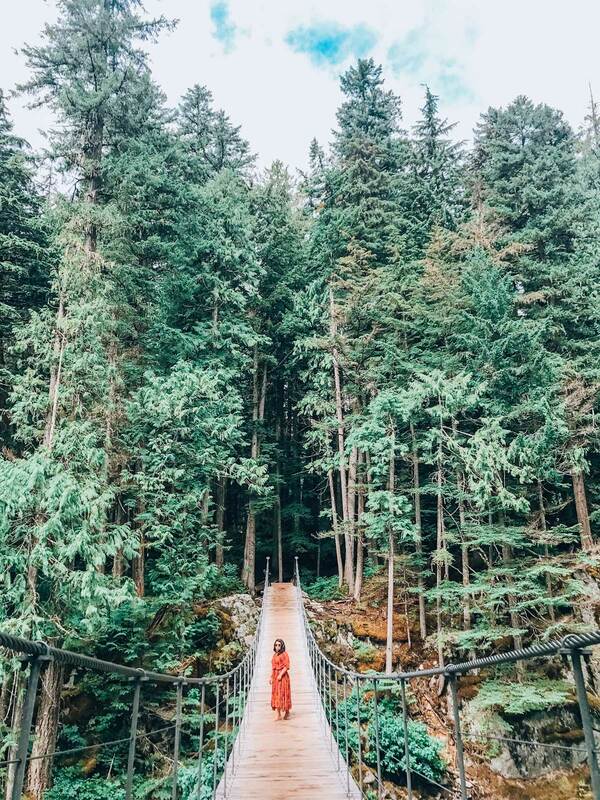 We recently took a girls long weekend trip to Vancouver and Whistler, and since neither of us had been to Whistler in the spring, we were very excited to discover one of Canada’s most beautiful gems. Needless to say, Fairmont Chateau Whistler has been on our list for a while, too. Hidden in the beauty of Whistler’s Blackcomb Mountain, the Fairmont Chateau Whistler sits in the Village, and can be considered a destination by itself. While most of the guests who stay here are skiers and snowboarders due its proximity to the frosty alpine action, there are so many other things to enjoy at the resort. I’ll be honest, we had zero intention of skiing, snowboarding or mountain biking because I forgot to pack jeans ( seriously, my entire luggage consisted of dresses (for Instagram), and one pair of yoga pants (for yoga) and flip-flops (for comfort)), we loved the entire resort experience, and out time in Whistler so much because it had something for both of us- including great food, wonderful views and great activities that could mostly be done in flipflops. There are multiple ways to get from Vancouver to Whistler- the easiest being the bus that leaves from the Hyatt Regency in Vancouver and has wifi on board to get work done or catch up on Instagram stories. A quick 2.5-hour ride later, you’ll find yourself in the middle of either Upper or Lower Village. 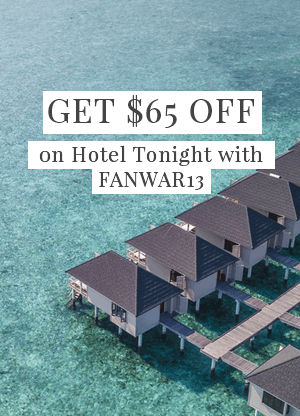 While it’s hard to describe how amazing the views are from Fairmont Chateau Whistler, the views do have healthy competition with the amenities, and the vibe at the resort itself. Sitting at the base of Blackcomb mountain with a glorious spa, 6 dining rooms, a health club and yoga classes (to help work off some of the chocolate that is left in rooms upon your welcome), you really don’t have to actually leave the grounds at all. We don’t often get excited about the onsite features of resorts, but Fairmont Chateau Whistler really knows how to cater to its guests by offering experiences that really help explore Whistler, particularly if it’s your first time there, although honestly, just staying at the resort is one of the best things to do in Whistler in the summer. Between the really delicious food at the dining rooms, the eucalyptus steam room at the spa, hot tubs and a wedding chapel (in case the urge strikes you) you’re basically in heaven. And that’s before knowing how wonderfully pet-friendly the resort is. Steps outside the resort is the rest of Village where you can shop, grab a bite to eat, rent a bike etc. For those who want to explore the Lower village, it’s only a 10-minute scenic walk away, or 5-minute drive on the free shuttles offered by the resort. Whistler is like the rest of Canada with cold winters and really warm summers, but the weather in June is interesting, to say the least. After spending a few days there in the middle of June when the rest of the country is dealing with a heatwave, the term “Junavery” starts making sense, and there’s a reason why transitional parkas are a thing here. 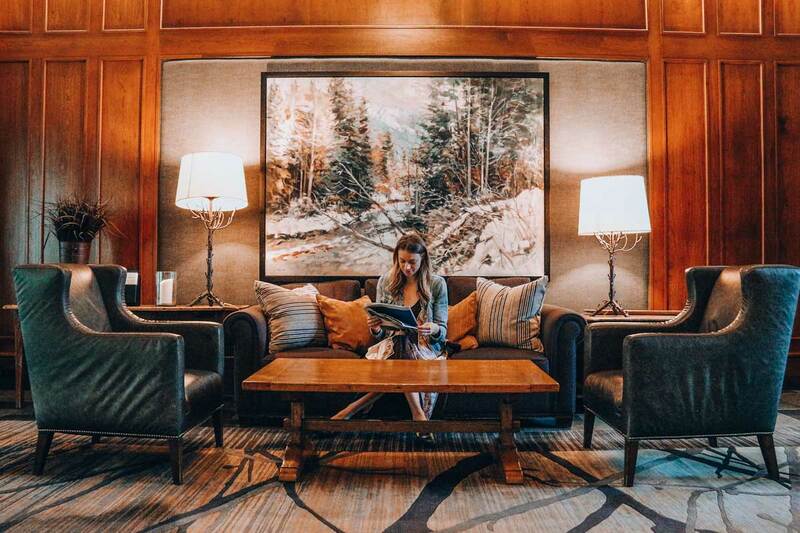 Nonetheless, Whistler is stunning all year round, and the slightly chilly weather means that there are smaller crowds to battle for the best views or poolside access at Fairmont Chateau Whistler. We bring this up, not to deter you from exploring Whistler in June, but to make sure that you pack the right things. There’s nothing like having to go shopping in the Lower Village to make sure that you have proper clothing for the hikes that you really want to go on. Even if you’re not a foodie, we really recommend grabbing a cocktail (try the Bramble) and appetizers at The Mallard Lounge, and breakfast and dinner at the Wildflower (we HIGHLY recommend the lobster mac and cheese). Take a dip in the pool and pop into the steam room to help ease your sore muscles after a day of walking about or hiking to see the beautiful views. Take a complimentary yoga class to help de-stress. Pop into Vida Spa for a bit of pampering. Up your tennis game with onsite lessons. But, if you’re like us, and want ideas on things to do in Whistler in the summer, outside of the resort, too- then you’re in luck! We’ve put together a guide for you! BIRDS’ EYE VIEW: For those who love heights, the Peak 2 Peak Gondola needs to be the first thing on your list. It’s a great way to see your surroundings and get a sense of Whistler as a whole. The views are some of the best in the world. It’s no wonder Peak 2 Peak has three Guinness World Records. 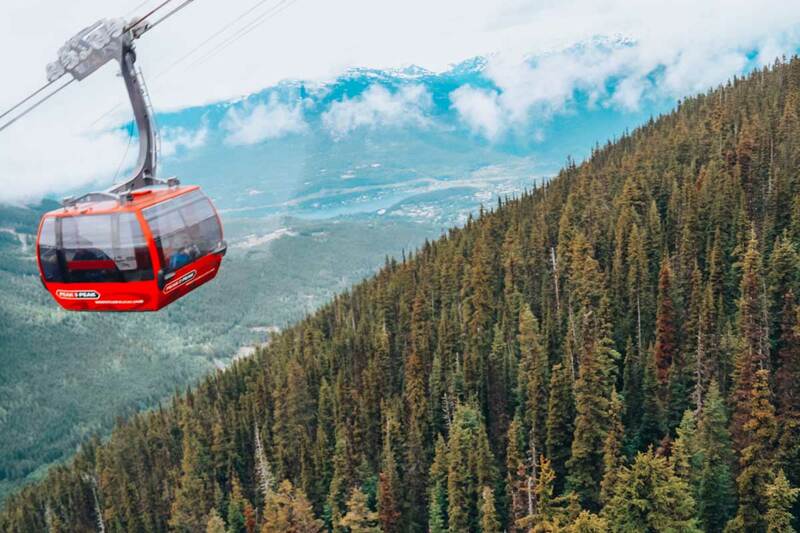 The gondola ride is eleven minutes between Whistler and Blackcomb mountains one way, but the time flies by because you wouldn’t be putting down your camera. You can also go for a hike on top of the mountain and to see giant snow walls (early summer) and wildflower blooms in mid-summer. Set aside an after so you can enjoy the 360 Experience by grabbing a bit at Mountaintop or Christine’s. For those enjoy a bit more structure, can take a private tour to get a better sense of the area and scenery. 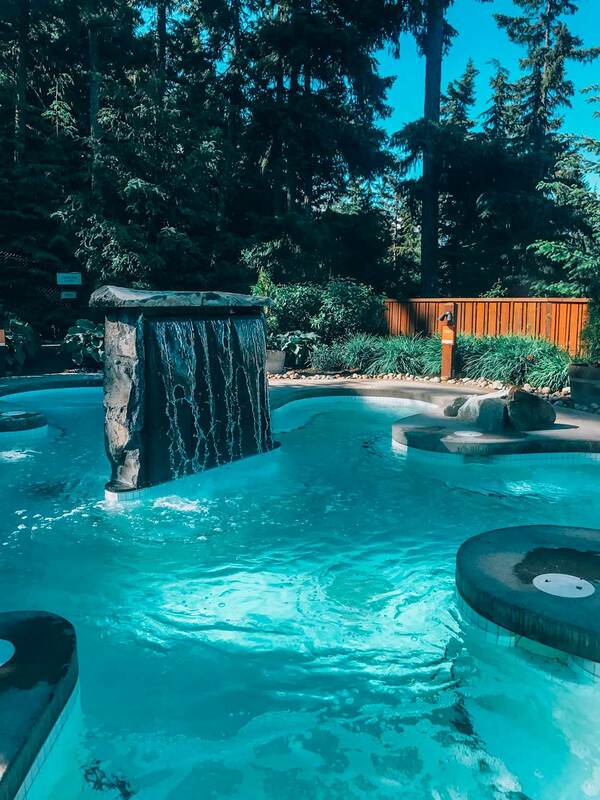 PAMPER SESSIONS: Those who love spas (and who doesn’t), will find their pick of spas all around Whistler. There’s nothing better than spending the day lounging in a pool, the following two places are for you. We especially love Scandinave Spa because of its no electronics in the spa policy and the fact that can offer messages to groups at the same time. There is not better than getting a message or just spending the day in a hammock relaxing with while reading a book or staring at views that are out of this world. 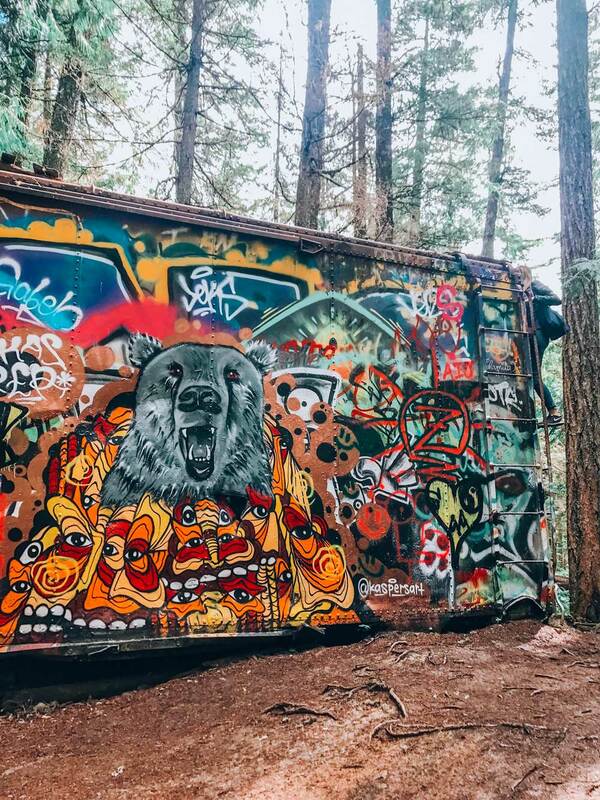 This by far is one of the best things to do in Whistler in the summer or even winter. But those staying at the Fairmont Chateau Whistler don’t have to venture far, and the resort’s amenities are also wonderful- particularly the steam rooms and the pool. SEE ALL THE ART: The great thing about Whistler is that there are a few really great museums that not only have some of great pieces but also provide a break from the heat in the middle of the day, too. We really recommend starting with SLCC which is a right across the street from Fairmount Chateau Whistler. It has a great curated selection from Squamish and Lil’wat Nations (try to get there right when it opens so you can take part in the morning drum circle). Next, head over to Audain Art Museum where not only will you find great architecture housing (again, great for Instagrammers), but some really thought-provoking pieces as well. GET YOUR SHOP ON: Shoppers like us will be happy to know that the Lower Village has some familiar national chains from the Gap to Lululemon, sprinkled in with a few local gems like 3 Singing Birds. So, if you find yourself not prepared for the Junavery (like we did), fret not because you can pop in and grab a hoodie or a jacket there. 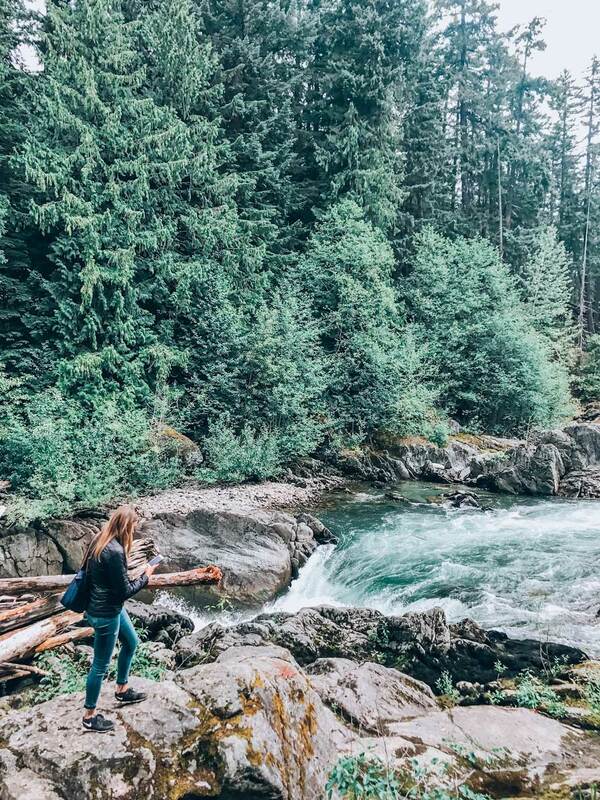 TAKE A WALK OR A HIKE: It’s hard to do Whistler’s scenery and hiking and walking trails justice in a few words because they are best experienced first hand, and the summer is one of the best times to explore this wooded paradise. However, those staying at the Fairmont Chateau Whistler can opt to have one for the experience managers help take you on a guided tour. This is how we found the abandoned trains in the middle of the woods. If you’re looking for an easy but beautiful walk on either paved or gravel path, then you’ll be glad to know Whistler has made it really easy to go on self-guided walks on Valley Trail, with all the information on their website. 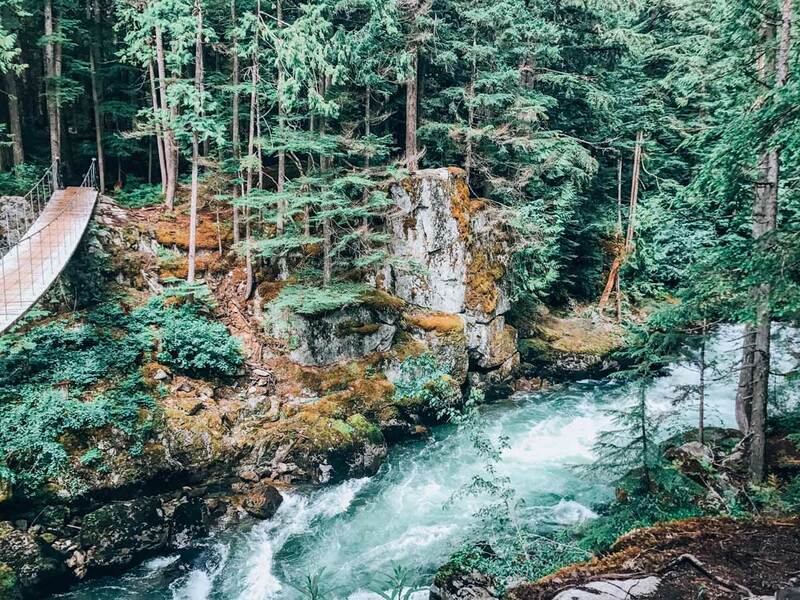 GO FOR A DRIVE: As if Whistler didn’t already have some amazing things to do, you can opt to take an hour drive to Pemberton or Callaghan and explore the pretty routes along the way. Both towns are far quieter during the summer but have their share of summer activities. You can also just take a jeep tour with Whistler Jeep Tours. You can opt for a 2-4 hour tour and let you set your sights on Blackcomb Glacier, Callaghan Valley or all the way up the Blackcomb mountain so you can see the views from 6000 feet up. PRACTICE YOUR SWING: It’s hard to find a more picturesque place to take out your clubs than Fairmont Chateau Whistler Golf Course. The natural scenery combined with the amenities that the golf course offers makes it a golfer’s dream course. STRETCH THOSE WINGS: Ah zip-lining, the activity that makes our heart beat faster, but also gives us the most thrills (and one that is somewhat approved by parents). Whistler has 2 options for those looking to add zip-lining to the list of things to do in Whistler- Ziptrek and Superfly. Both come highly recommended. LAKE VIEWS: Grab a swimsuit and head over to the River of Golden Dreams. The river connects Alta Lake and Green Lake (one of the best places in Whistler to Instagram) is a paradise for paddling or canoeing. It can take up to 3 hours one way and you can opt to go on a guided or unguided tour. You can also rent a paddleboard or take a SUP yoga class around Alta Lake. We highly recommend adding this to your Whistler summer activities list. GET YOUR SKIS ON: Yes, you can go skiing in the summer in Whistler Blackcomb, but it’s only available for expert skiers, and only available for a month between June and July. GET ON A BOAT: (Does rafting count as a boat?) Regardless, you probably already know that you can go rafting in Whistler in the summer and that there are a few ways to can experience moody waters ranging from thrill-seeking adventures (Elaho-Squamish River to family-friendly cruises (Cheakamus River). 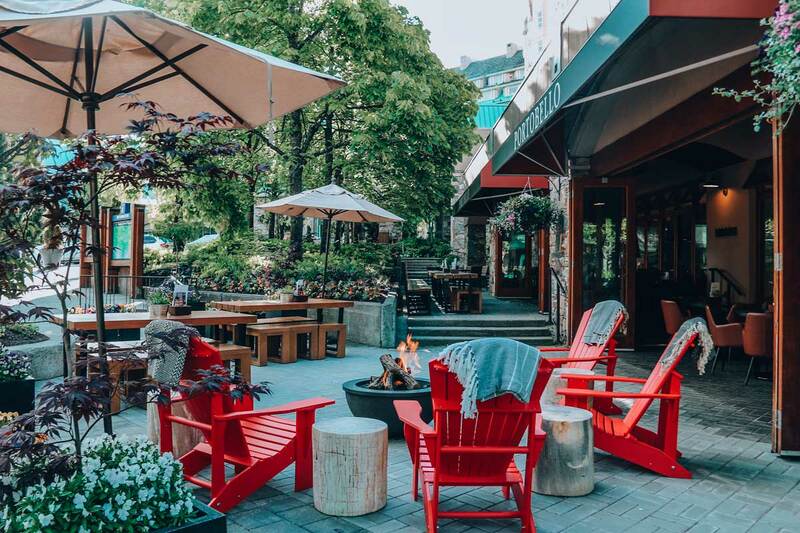 FARM TO HOTEL ROOM: For those looking for a more local experience, pop on over to the Whistler Farmer’s Market on Sundays right in front of Fairmont Chateau Whistler to pick up some delicious goodies or some knick-knacks to remember your time in Whistler. 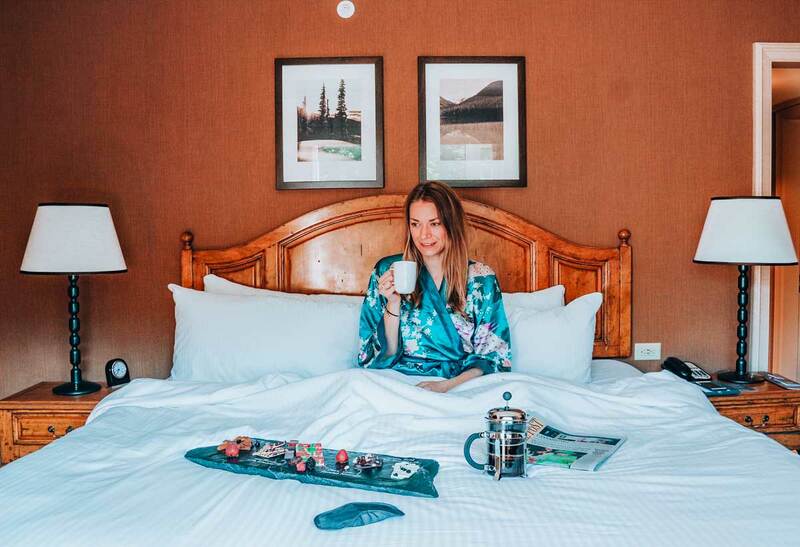 As you can see, Whistler has something to offer for everyone, and picking the right accommodations makes that experience so much better. 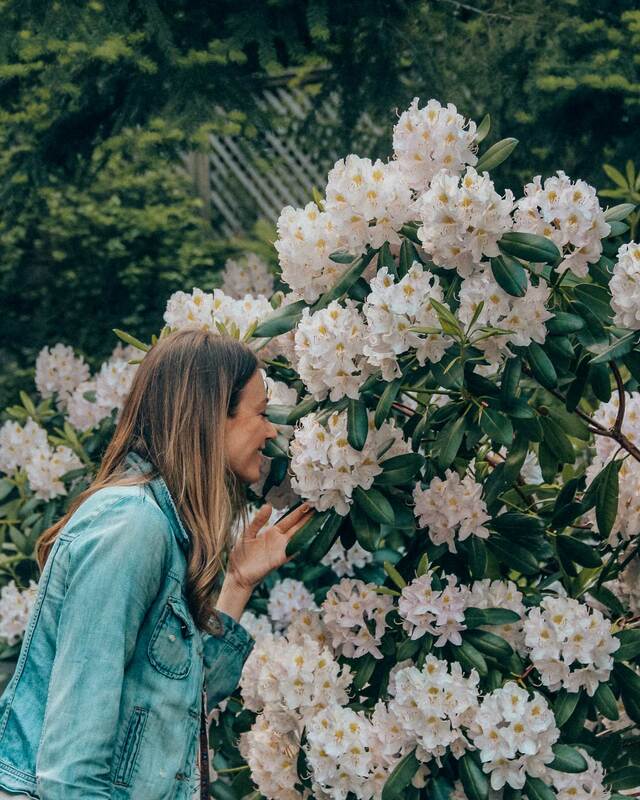 And most of us assume that Whistler is the place to go in the winter, there are also a ton of picturesque scenery delicious food, and outdoor activities do in Whistler in the summer as well. It’s no wonder so many people refuse to leave after spending their first season there. Thanks for this post. I’m hopefully getting to Canada next year so this post will come in handy. I’ve pinned for later!